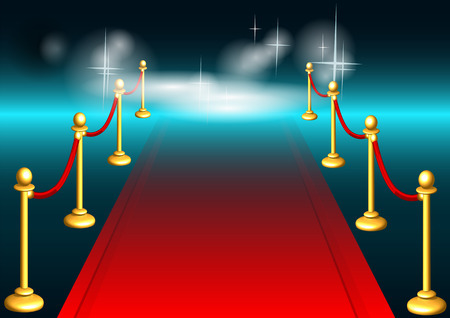 Our Managed IT Services Company in Houston Rolls out the Red Carpet for Attorneys! Those who are familiar with the IT industry know that many managed IT services Houston businesses refuse to work with law firms. The reasons for this stance are varied. Some IT providers fear a potential lawsuit if things go awry. Others simply follow the lead of their IT peers and refuse to provide services because it seems like that’s what everyone else is doing. If you’re a law firm partner or manager, don’t attempt to handle your IT challenges on your own. Here at HoustonTech, we’re more than willing to embrace your IT problems and concerns. Those who run law firms have likely had bad experiences when seeking out IT service providers. Perhaps, you dialed up a local IT support provider and were greeted with a dial tone after introducing yourself. Certain IT providers are really brazen enough to hang up on potential customers who work at law firms. Many will refuse to return calls from attorneys and paralegals. The bottom line is that most IT providers are intimidated by attorneys. HoustonTech bucks the trend when it comes to providing managed IT services to Houston law firms. We’re willing to provide IT services to every type of law firm, whether it’s a personal injury practice, matrimonial attorney, or debt collection attorney. So, don’t chase after those IT providers who aren’t interested in your business. Ally with our IT gurus and we’ll roll out the red carpet for your attorneys. We pride ourselves in opening our doors to all potential clients, especially those who’ve been denied service from our competitors. HoustonTech holds attorneys, as well as the law of the land, in high regard. Our team is well aware of the professionalism exhibited by attorneys. We’ve had nothing but positive experiences with law firms. If you were to poll our IT specialists and other personnel about these experiences, most would testify that attorneys are family-oriented, have a strong sense of morality, and seek to obtain justice in all matters. We refuse to stereotype attorneys as quick to sue. The bottom line is that attorneys are fundamental in a way in which our nation operates. These legal professionals defend constitutional rights, engage in negotiations with the best of intentions, and give back to the community. Entrust your IT-related projects to us and you’ll be provided with superior services that help you provide the best possible legal support to your valued clients. In the end, we share the same aims as our legal clients: exceptional customer service, rapid problem solving, and unparalleled support in every possible capacity. We’re willing to do business with just about anyone, and we also embrace all IT-related challenges. Ally with our managed IT services Houston business and you’ll rest easy knowing that you have a team of true IT professionals on your side. Whether you want to tap into the power of the cloud, virtualization, require help desk support, or are interested in VoIP solutions, we can help. Contact us today to learn more about how our IT services can enhance your operations, serve clients, and ultimately increase your revenue. ← Don’t Allow IT Support Providers in Houston to Distort Your View of the Cloud!